Tell Me More and Then Some is finished post production. We are in the process of determining which film festival the movie will premiere. We are actively seeking investors at this time. 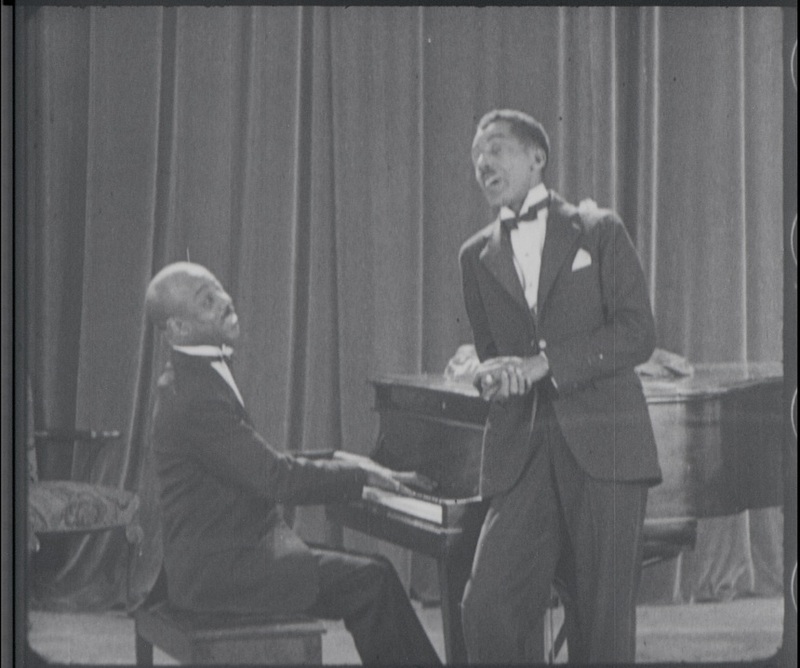 The image above is from a film clip of Eubie Blake performing with Noble Sissle in the 1920's. 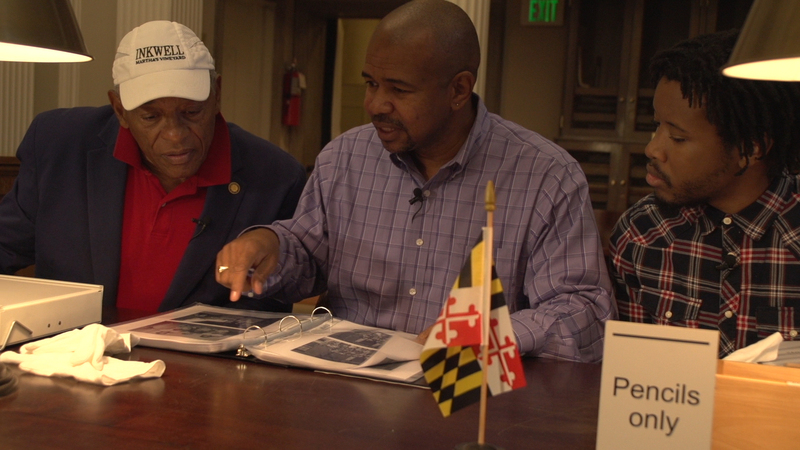 We have recently worked with the Library of Congress to get a high-resolution digital transfer of the original film. There are many more digital transfers of old footage that will be included in the movie. In order to get the facts and the history correct, we have been working closely with Philip J. Merrill and Nanny Jack and Company and we have also been working with Siobhan Hagan and MARMIA, the Mid-Atlantic Regional Moving Image Archive. Both Philip and Siobhan are Producers on the movie. The movie is directed by filmmaker Jon Henry. This is his first feature film release. Walt Carr, a cartoonist who's family ran the "Nightlifer", an old publication that frequented articles about jazz concerts and artists playing on the Avenue, looks through replications of the Henderson Collection at the Maryland Historical Society with Philip J. Merrill (center) and Jon McClean (right). We recreated a Billie Holiday concert taking place in 1942. 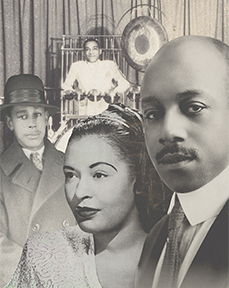 In the concert, a Billie Holiday classic "Tell Me More and Then Some" is performed by Integriti Reeves, Warren Wolf Jr and other local Baltimore jazz stars. The music video will also feature rotoscope animation of Billie Holiday. The music video will be released upon the films world premiere. 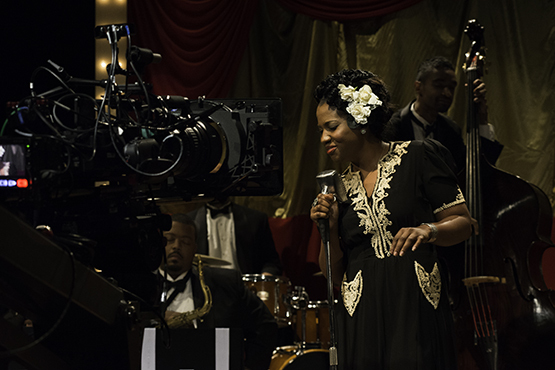 Above, Integriti Reeves is depicted as Billie Holiday. 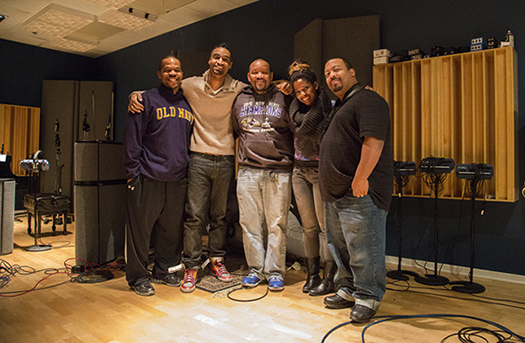 Warren Wolf, Kris Funn, John Lamkin III, Integriti Reeves and Craig Alston recording "Tell Me More and Then Some," at the Peabody recording Studios. Original song by Billie Holiday.